The first thing we notice; not everything that looks old actually is old. Many houses had their facades worked in a way to make them look older than they are to achieve a harmonious bigger picture across the city. That worked out quite well for the most part but every now and again there are houses that absolutely don’t fit. But that is the case pretty much everywhere in the world! 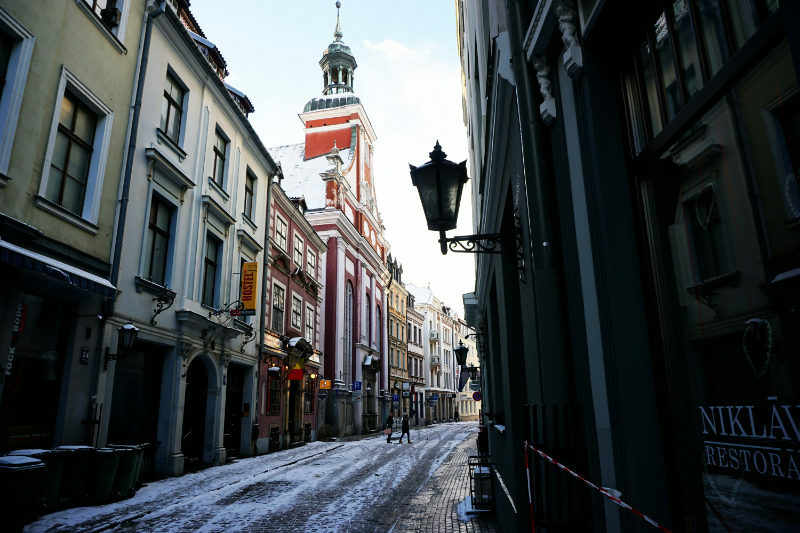 Many churches are to be found in the Old Town of Riga. Most of them can be visited free of charge, others have an admission fee in place (and not a small one that is!). St. Peter’s Church is the highest church in Riga and an architectural monument for the Gothic Period. Parts of the church were destroyed in WWII. In 1970 the new church tower was built and fitted to the older nave of the church. The tower is right in the middle of the Old Town and the view from up there is wonderful. Due to weather conditions, there was no access to the tower at the time of our visit. Many things about the history of the building are to be learned in its interior which is also home to some marvellous pieces of art. We were in luck on that day and visited while a choir was rehearsing in the church and got to listen to some lovely music. We noticed many other churches on our stroll through the Old Town. 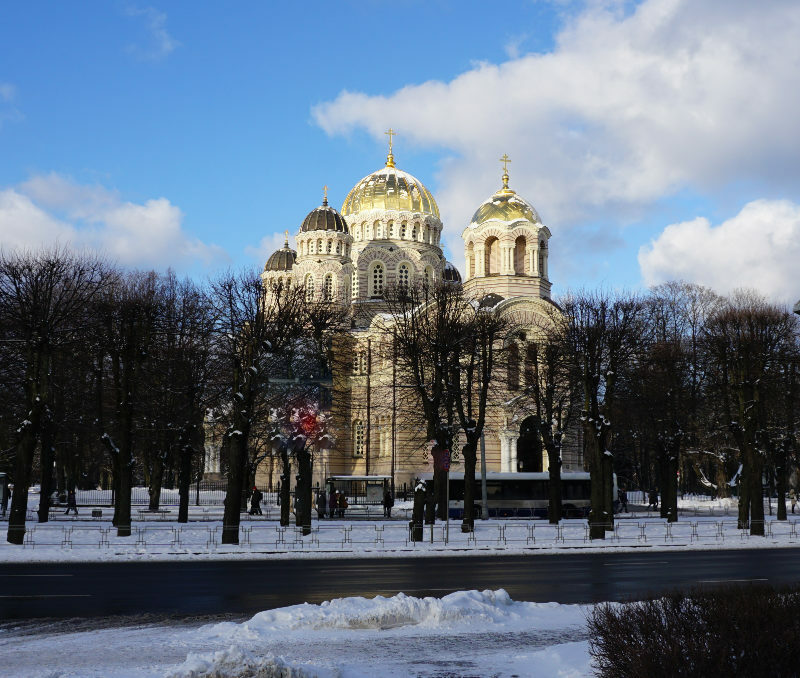 A particularly big and imposing one is the Orthodox Cathedral of Riga. This church was inaugurated in 1884. Instead of following his plan to build a tower, the architect was forced to rethink his design and to go for a dome instead because the church was gifted 12 bells by Czar Alexander II. The church made it through both World Wars without damages. 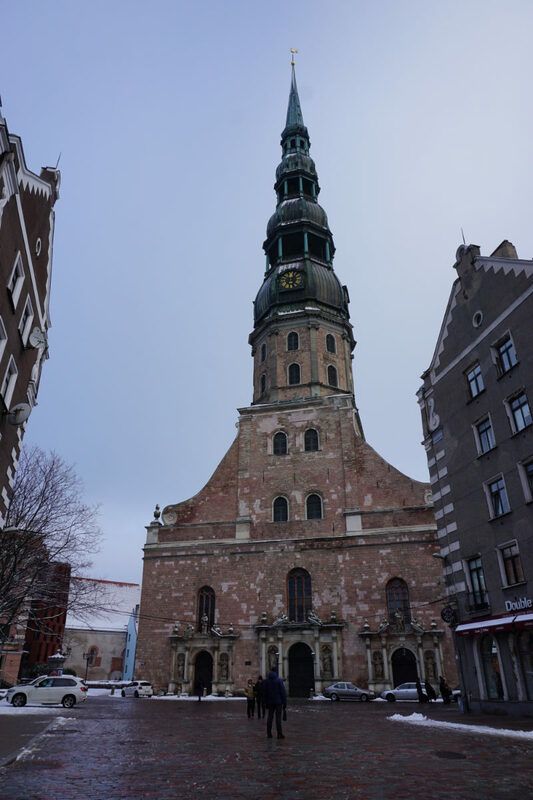 But when Russians came to Riga in the 60s of the 20th century the bells were taken down and melted, the cross was sawed off and an observatory was built into the church. Since May 2000 the Cathedral is back to what it was originally intended to be used as and is still being renovated. Those who wander through the city with an open eye will also discover many statues that make for a varied cityscape. 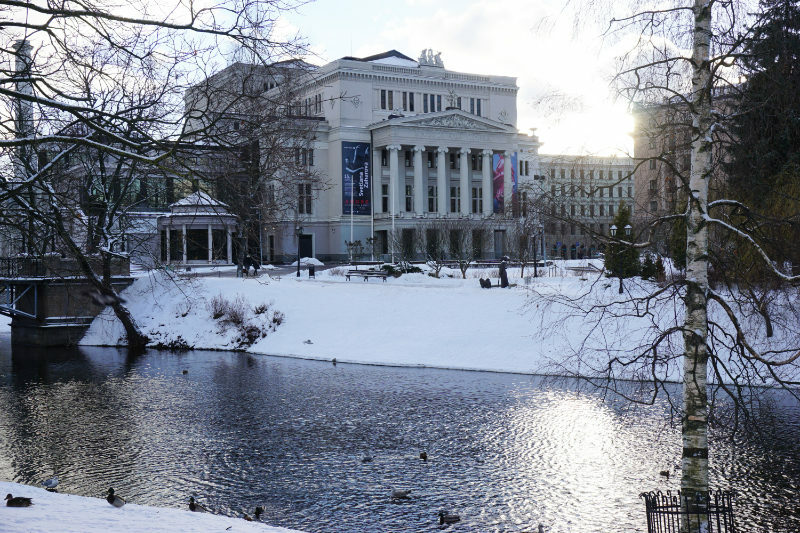 Our tour took us past the Latvian National Opera and Ballet and the White House of Riga. Since 1923 this has been the venue for many events. Ticket prices are rather low compared to stages in other countries. This is to ensure access to a wide audience. We continued on the narrow streets of the Old Town to the old Magazine of the city which was the finale of our Old Town stroll for now.